Anatomy360: Need an Anatomy Reference From Any Angle? Try This! Ever wish you could rotate a photo, to draw it from another angle? 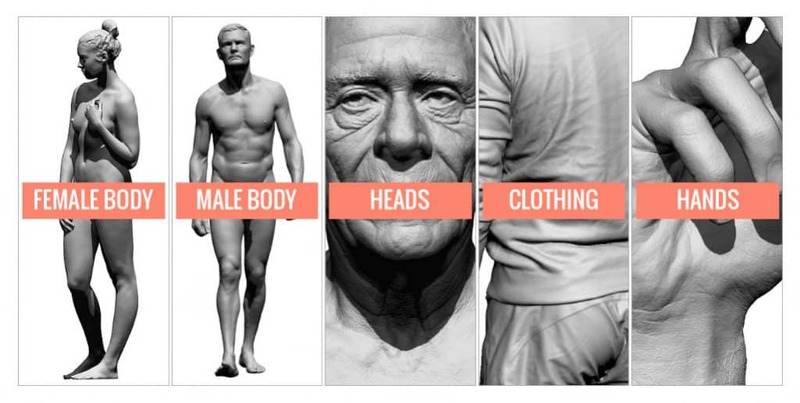 That’s exactly the problem that Anatomy360 solves! This awesome app let’s you quickly rotate models, so you can draw and paint them from any angle you need. 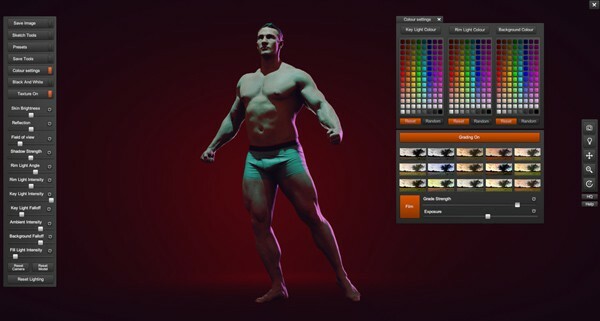 You can also control the color, direction and intensity of the lighting, and even add a colored rim light.. it really is the perfect reference tool! Sketch mode allows you to easily create line art images with dynamic shadows. A big help with foreshortening and drawing people at tricky angles. You have full control over all lighting, including rim, fill, key and ambient lighting controls. Turn skin texture on and off, making it easy to see the underlying form. What kinds of models are there? Anatomy360 offer a free demo on their website (Mac and Windows! ), which you can use to get a feel for the app. It’s not time restricted, and comes with a single pose from the male hero pack. 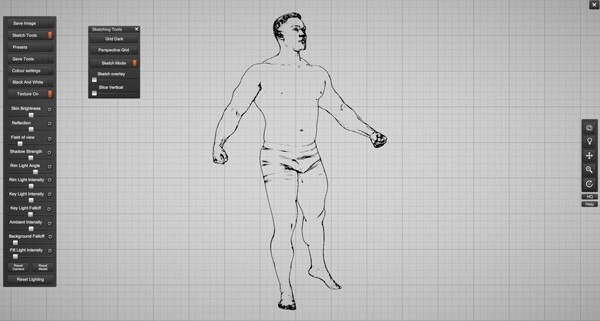 I hope you find Anatomy360 as useful as I have, and if use it for any of your drawings or paintings, be sure to post them in the comments below! 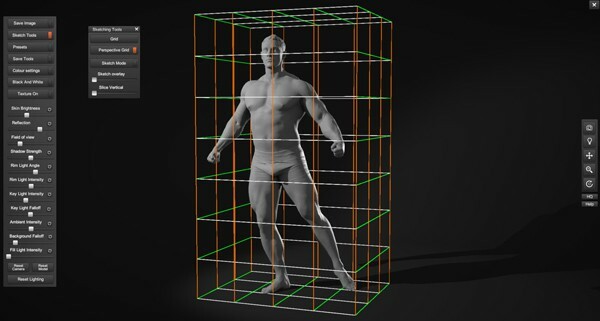 I am having to use Daz3D/Poser for my model reference but was never happy with the muscular anatomy. I will definitely be checking this out for my more realistic type work but its going to b all about the poses available and how diverse they can be.